Love two people in this world the most: 1. The one who has given birth to you. 2. 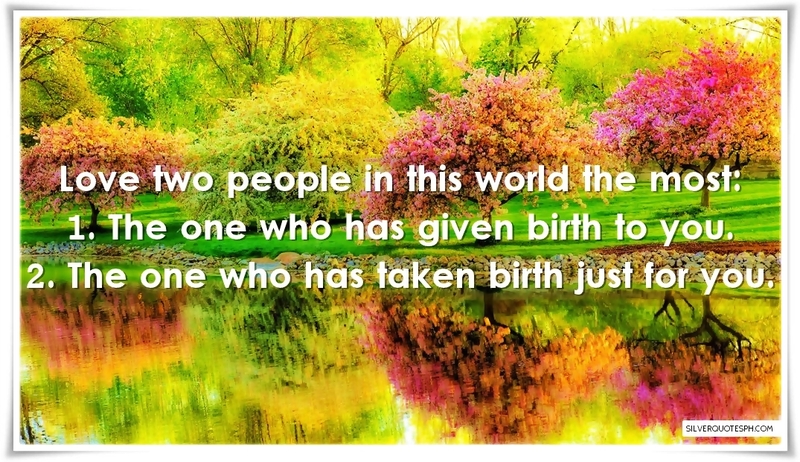 The one who has taken birth just for you.